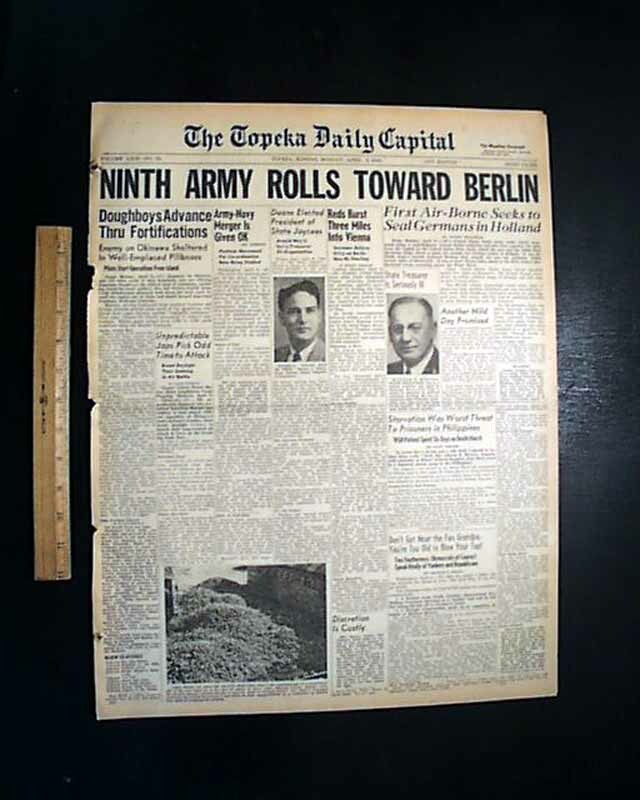 This 8 page newspaper has one column headings on page 2: "Americans Seize Nazi Camp Where 4,000 Murdered" and "Armored Division Finds 77 Bodies Of Latest Victims". 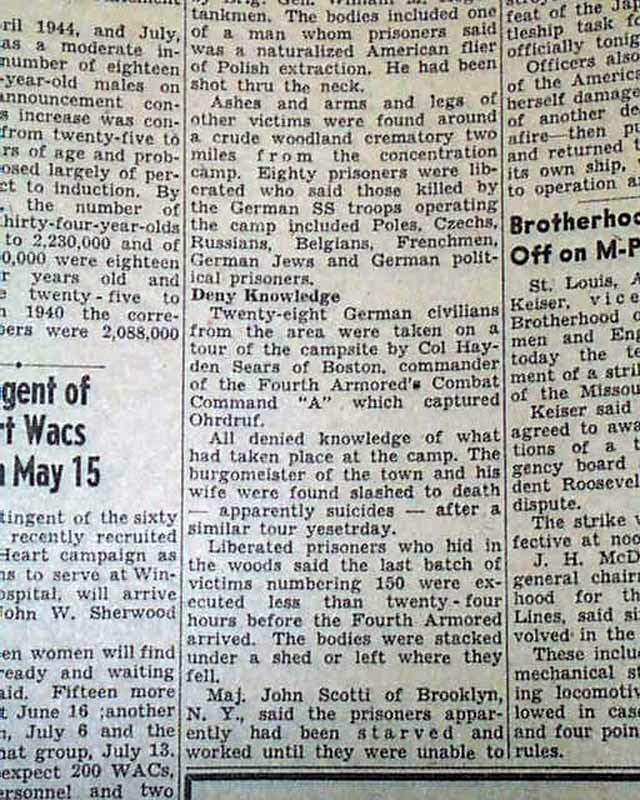 1st report coverage on the liberation of the Ohrdruf concentration camp. 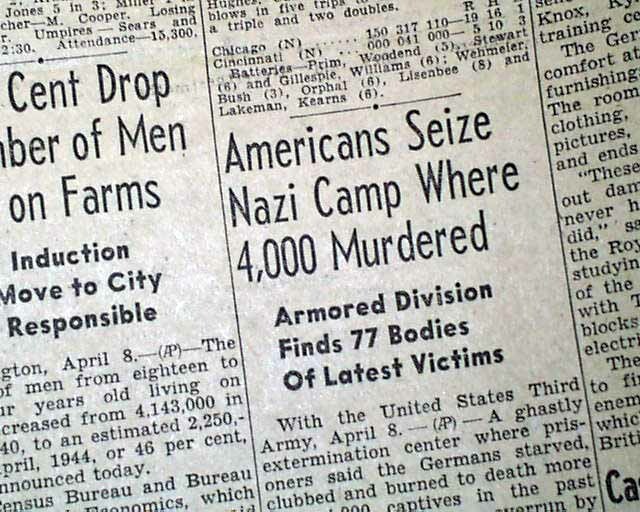 This was the first such camp to be liberated by U.S. troops. What better evidence to confirm of what really happened then having a 1st hand account from the day it was first reported. 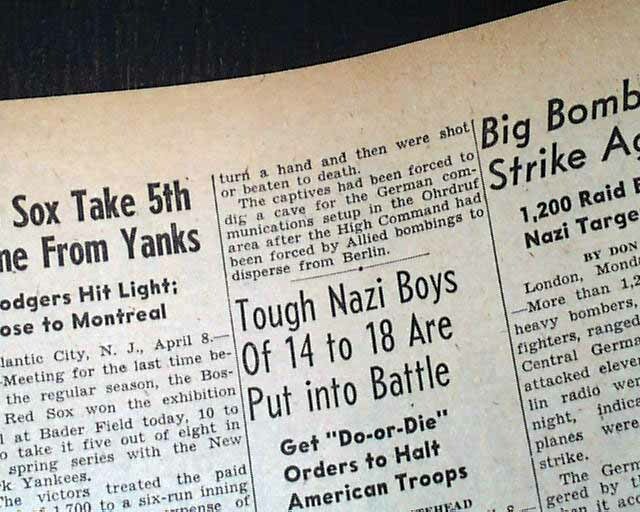 Other news and advertisements of the day with much on World War II. Some spine wear, otherwise good condition.